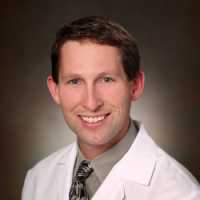 Dr. Bock: This study examined the association between dietary antioxidant micronutrients and risk of renal cell carcinoma (RCC) among a cohort of 96,196 postmenopausal women from the Women’s Health Initiative (WHI). During follow-up (median follow-up time was 12 years), there were 240 cases of confirmed renal cell carcinoma in the cohort. Dietary lycopene intake, measured at baseline, was associated with a decreased risk of renal cell carcinoma (RCC). Women with the highest quartile of lycopene intake (>6427.7 mcg/day) had approximately 40% lower risk of RCC compared to those women in the lowest quartile of lycopene intake (<2727.6 mcg/day). There were no statistically significant associations observed between intake of beta-carotene, alpha-carotene, beta-cryptoxanthin, lutein + xeazanthin, vitamin C, or vitamin E and renal cell carcinoma.